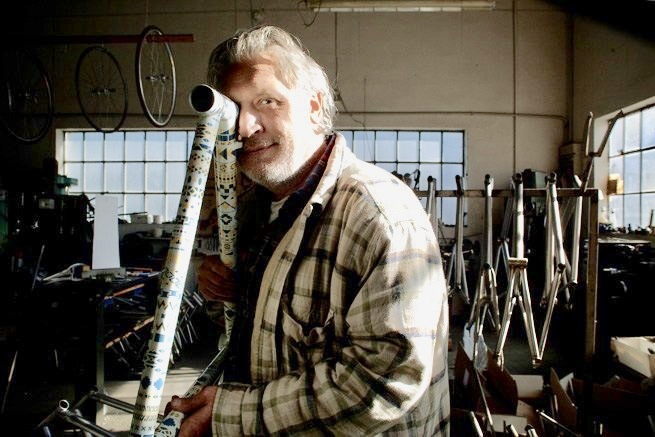 The tribute to the late Dario Pegoretti (who died in August 2018) at this year’s North American Handmade Bicycle Show (NAHBS) in Sacramento, California displayed some of his finest work, further solidifying his place in the annals of the artisan framebuilding world. However, the road to Pegoretti becoming a world renown frame marker was fraught with downturns and disappointments along the way. Indeed, while Pegoretti’s history as framebuilder under his own name is well documented, mainly focusing on his eclectic interests in music, art, attended by an unconventional lifestyle, his path to fame was long and arduous. 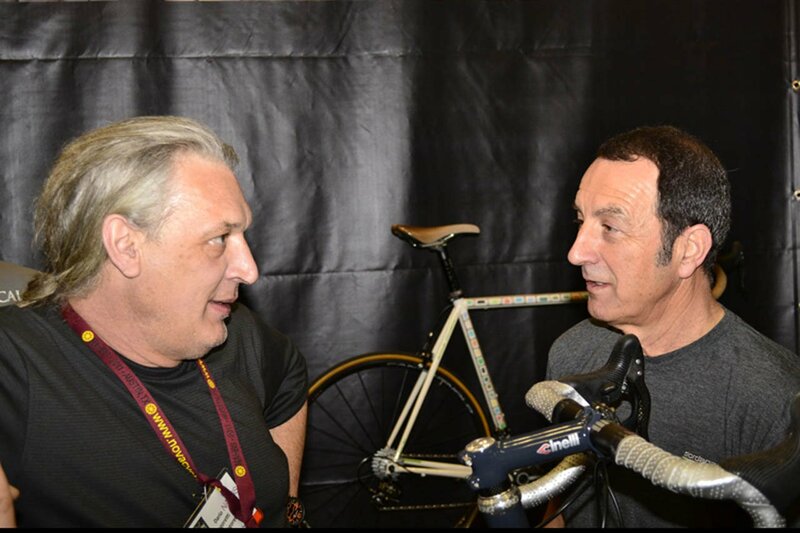 I first met Pegoretti at the workshop of Luigino Milani in Verona, Italy while working with Giorgio Andretta, the long-time US importer of Pinarello bikes. Milani was Pinarello’s main subcontractor and Pegoretti was a quiet but talented worker married to Milani’s daughter. In the late 1970s and early 1980s the US market was hungry for artisan steel frames and Milani’s workshop was turning out more than 3,000 Pinarellos a year, as well as frames for other vaunted Italian brands such as Colnago and Bianchi. The halcyon days of the Veronese workshop ended abruptly when Pinarello sought other subcontractors, while the mountain bike “boom” in the late 1980s in the United States also sealed the death knell for many Italian framebuilding laboratorios. Still, licensed riders in America craved artisan road bikes. But, escalating prices brought on by the advent of innovations like integrated shifting (STI) and factory built wheels placed them outside the reach of many riders. Moreover, the influx of disposable American made aluminum bicycles further discouraged all but the most dedicated enthusiasts from buying handmade frames from Europe. As a contract builder Pegoretti’s woes multiplied with a divorce from his wife and the death of his father in law. Homeless, unemployed and without any equipment of his own Pegoretti was literally living out of his automobile. 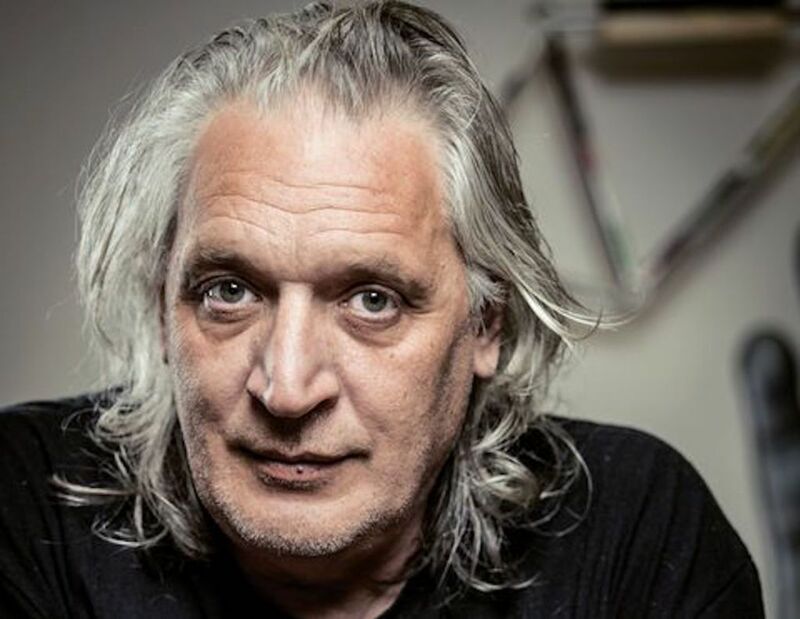 He briefly worked for Feremi in Brescia, and later on, built frames for Roberto Visentini, Claudio Chiapucci, and Steven Roche, all world class riders. But, the name on their bikes was Carrera, not Pegoretti, earning him virtually no recognition for his craft. In the meantime, both steel and aluminum tig welded frames were becoming the norm, prompting Pegoretti to hone his skills in this new discipline, while many other framebuilders remained stolid in their construction techniques – preferring lug construction. As a result, Pegoretti stood-out as one of the first constructors to master this style of welding, particularly for new, innovative tubing like Isidoro Rezze’s lightweight Excell tubing. It wasn’t long before Pinarello came calling again as the firm needed a skilled artisan to build the Banesto team frames; especially for leaders of the peloton such as Pedro Delgado and Miguel Indurain. However, the wages from Pinarello were far from substantial and Pegoretti once again found himself destine to become financially insolvent again and just another unknown subcontractor. Gita Sport to the rescue! 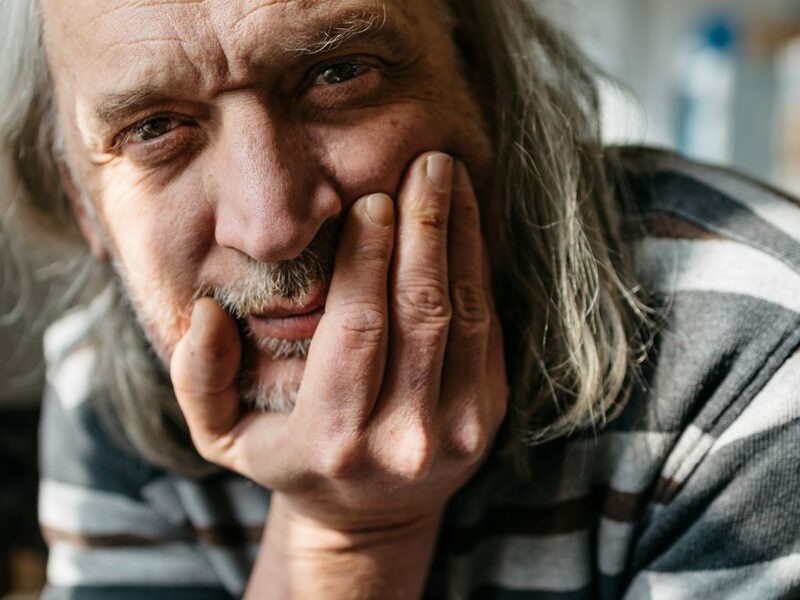 In 1992 Giorgio Andretta was ready to launch his own bicycle line under the moniker, Giordana, the same name that he was using for his cycling apparel brand that he had be selling through his company Gita Sport. However, as Andretta explained, Pegoretti was too proud to accept direct funding from Gita. Instead, he agreed to make the initial Giordana frames based on Andretta’s help with opening his own workshop under the Pegoretti name. Although aluminum and composite frames were becoming increasingly more popular during the ensuing years, enthusiasts still clamored for artisan frames of steel. In response, Pegoretti developed tubing drawn expressly to his specification from Excell, Dedacciai and ultimately Columbus. He even collaborated with celebrated American frame builder, Richard Sachs, to create a specially drawn steel called PegoRichie. Yet, the market demanded carbon forks and the initial ones used on his frames were from Reynolds in California. Pegoretti considered this a temporary compromise. Having taught himself Cad Cam he sought suppliers in Taiwan to build his own carbon forks which went through several phases until his masterpiece the “Felz” fork became a reality. According to Pegoretti, this was truly the one carbon fork that was capable of replicating the feel and performance of a properly constructed steel fork with the correct mix of rigidity and compliance. And what of the imaginative and often controversial paint schemes that adorned so many of Pegoretti’s frames? Often described as the Andy Warhol of the artisan framebuilding community, Pegoretti became just as revered in certain art circles for his paint schemes as his frames were by the cycling cognoscenti. The agony he suffered during his worst points in his life, like the time he struggled with lymphoma, along with the ecstasy he experienced during his subsequent recovery and commercial success as bespoke frame maker, are all evident in his elaborate and provocative paint schemes. Today, Pegoretti’s trusted and well trained workers, Piero, Gianmaria, and Andrea, carry on his legacy, paying homage to their master by turning out artisan frames of the utmost quality as though he were still there beside them. Furthermore, Pegoretti left behind a wealth of paint schemes in his files that are sure to keep the brand equally cherished for its artistic appeal. When the cycling world loses one of its greats like Pegoretti, just as the bicycle endures, Dario’s spirit continues with us all, reminding us all of his contributions with every pedal stroke and glint of the torch. And, thanks to Andretta whose patronage gave rise to the Pegoretti marque.